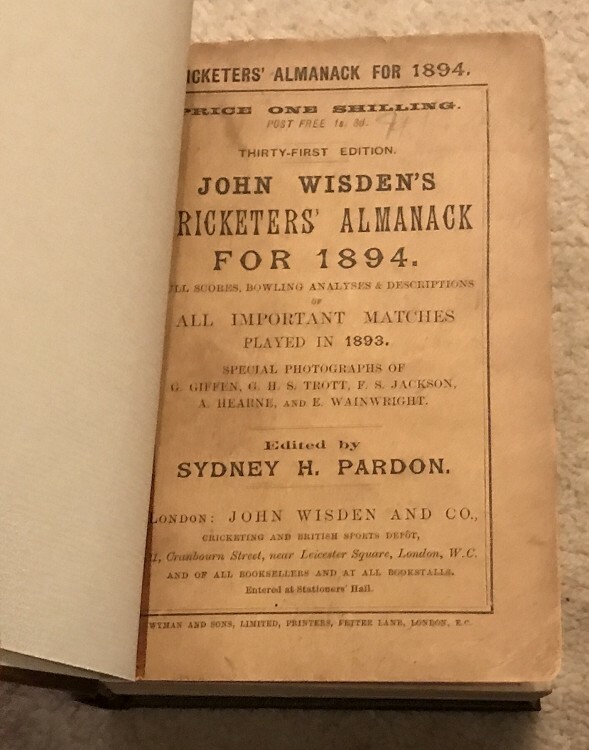 This lot is an 1894 Rebound Wisden , with the original covers bound within. This book is in Very Good Condition and at a great price. The covers are bound within and are in very nice condition, a touch dark if being picky and a pencil name to the front cover. Internally wonderful for such an old book, clean pages , hardly a spot , nice photoplate but creases to the tissue paper. Tightly bound. VG.